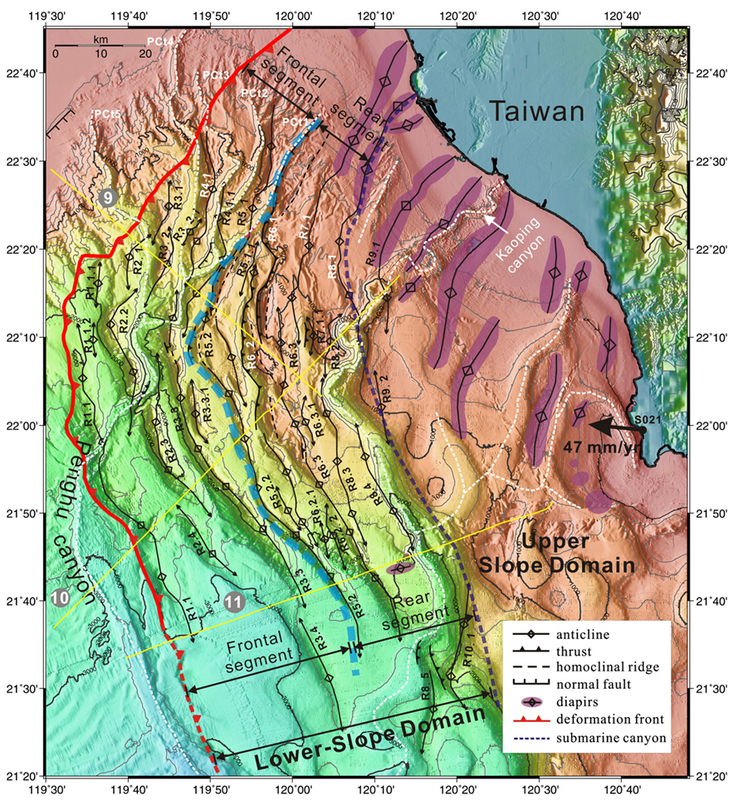 The areas of offshore and onshore southern Taiwan are in an initial stage of arc-continent collision, which consists of the overriding collisional/accretionary complex and the underthrusting Eurasian lithosphere separated by the Manila trench and deformation front. In this tectonic domain, We have been working on two directions of research. Lin, A.T. , Yao, B., Hsu, S.-K., Liu, C.-S., Huang, C.-Y. 2009. 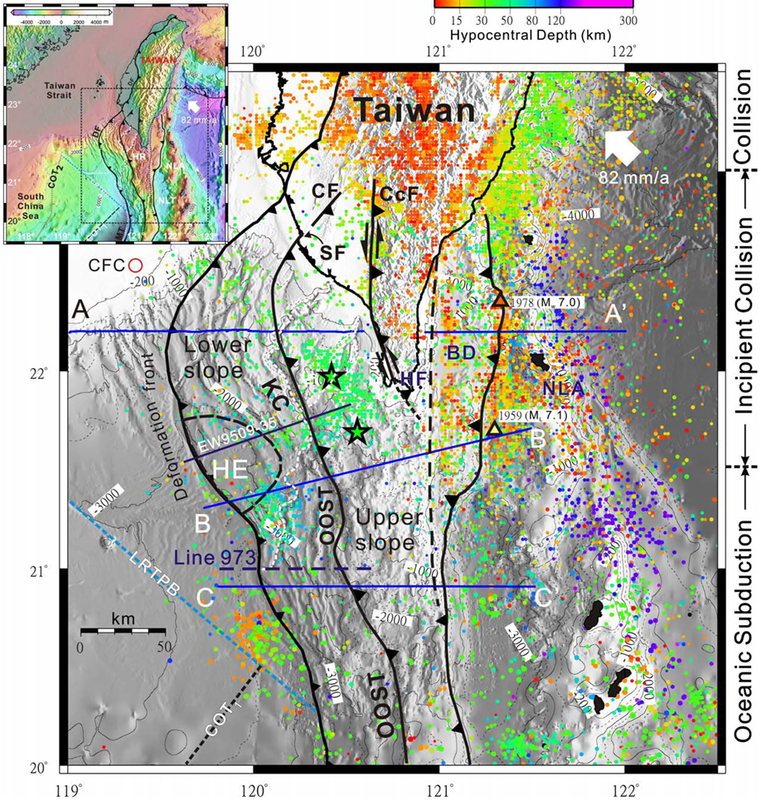 Tectonic features of the incipient arc-continent collision zone of Taiwan: Implications for seismicity . 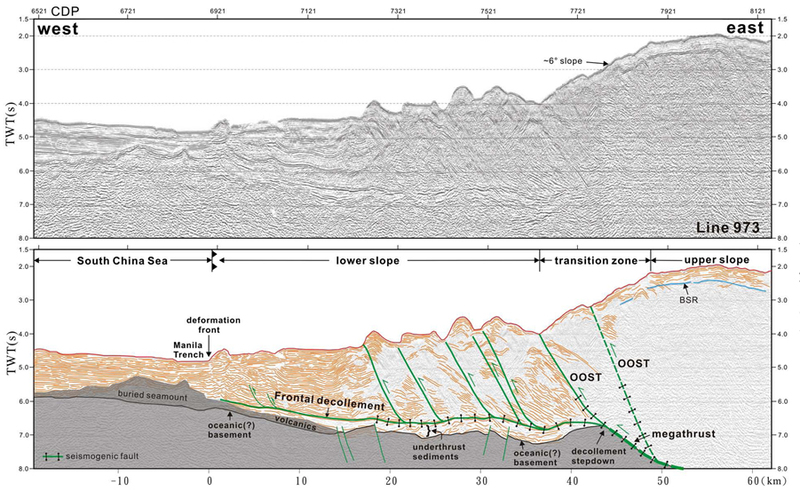 Tectonophysics, 10.1016/j.tecto.2008.11.004 (in press).